Like many other church leaders, I have just returned from General Convention full of memories, knowledge, and inspiration. Each person will have a unique experience, with favorite moments from the convention. Mine came during the opening worship service, when our Presiding Bishop preached a fiery sermon about God’s love. That’s not new, of course. But there was something new. 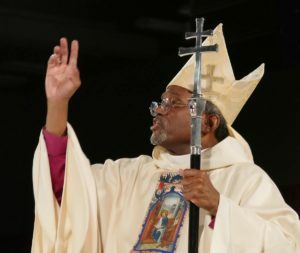 Bishop Curry has invited us all to take on spiritual practices so that we are spiritually vital followers of Jesus who have some Good News to share with others. Since he became Presiding Bishop, Bishop Curry has been calling us to be evangelists. To be effective evangelists, we have to live transformed lives, and that’s where the Way of Love comes in. Presiding Bishop Michael Curry blesses the hundreds of participants. You can learn more at episcopalchurch.org/wayoflove. If you are looking for resources to support your journey, Forward Movement is one of many partners with a set of resources to help you. You can see what Forward Movement offers at our website, forwardmovement.org/wayoflove. I plan to work on these myself, and I hope you’ll join me in answering the call of our Presiding Bishop. Of course, Bishop Curry is really reminding us of the call from our Savior and Lord, as Jesus invites us to a new life abounding in grace. Discover what God has written onto your heart. What do you want for your life? Who do you want to be in your life, and how do you want to live? We humans need reminders, and when it comes to making a consistent effort to be better people, it’s important to have constant reminders. 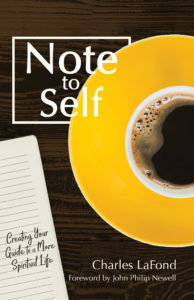 A “Rule of Life” is an ancient method for building soul memory, and offering reminders to ourselves of the person we hope to be-it is a practice of training your mind and soul to be kind and good.